Why are some businesses successful at reaching out to the military community? Fantastic Sams shows their colors! We just attended a special event for military spouses at Ft Knox, called a Field Exercise that was a wonderful time! It brought together 300 Army spouses (most had seen their soldier deploy multiple times – some up to six times) and provided them an opportunity to learn coping skills and laugh together about military life and its challenges! Hosted by Tara Crooks and Star Henderson of Army Wife Network, the Field Exercise also gave away some wonderful gifts! MilitaryAvenue.com was there as a sponsor and coordinated with three local businesses to provide gifts! All three outdid themselves and now have an audience at Ft Knox! Think about what you can do that would be special for a military spouse or family or veteran! Reaching out is more than the sale on Memorial Day for the general public. These folks did more than that! They provided pizza gift cards, coupons, spa packages and salon gift cards and coupons as well! When we approached them we had simply ask for a door prize from each. They responded with what else can we do? When we described the program they reacted with coupons and business menus for each of the attendees in addition to their wonderful door prizes! Their total giveaways to attendees were more than $4,000! Smart folks at all three companies! Military folks are very loyal and spread the word about companies that support them! A big thank you to Alpha Salon and Spa, Papa Murphy’s Pizza in Radcliff KY and Fantastic Sams in Radcliff as well! Do you want to reach out? Do you have a military discount? It does not have to be huge! Just a small token of appreciation will do! Build an ad on MilitaryAvenue.com to tell them about your company and how it supports the military community! Read why our followers like to follow MilitaryAvenue! 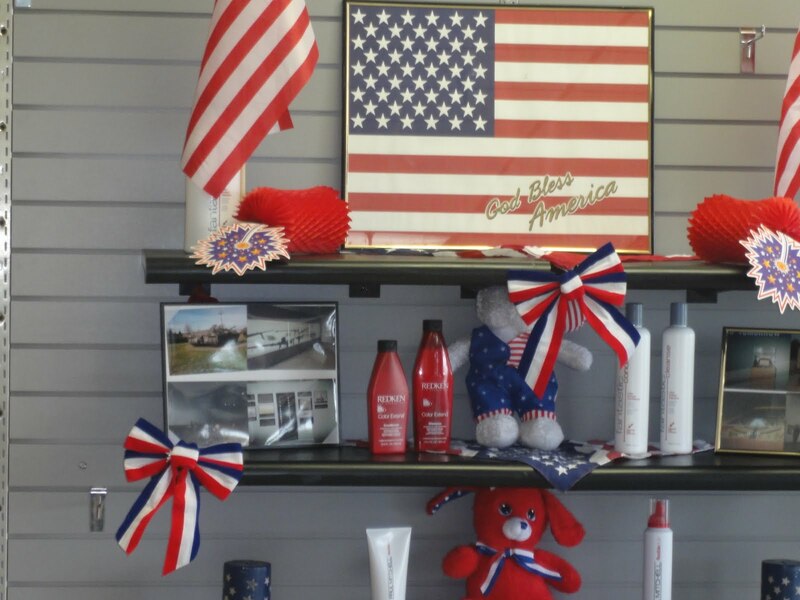 Military Discounts, MilitaryAvenue and YOU! 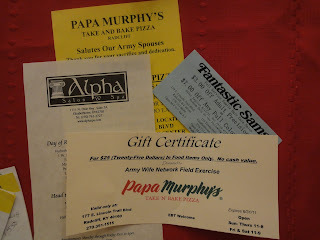 Recently we polled our Military Families as to what their favorite part of MilitaryAvenue.com was. They had a wide list of choices because, quite frankly, we have a lot to offer. We were very eager to learn what was the most interesting to them. We have our military-family blog, "Our Letters to You"; written by military-families for enjoyment, knowledge and empowerment. At each installation we have local information, phone numbers, social media sites, and much much more. By the way, we are always looking for more local information to add. If you are familiar with the area and want to tell our users a little more about it please send two or three paragraphs to leanne@militaryavenue.com so that we can share it with our families. Military Answers is a great resource for military families. Ask a question and other supporters will answer it. Learn more: You ARE the expert! 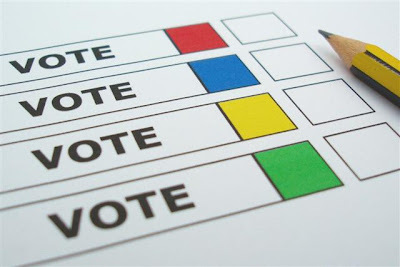 What was most valuable to all of our families polled? Local Military Discounts. That is you! Your business. Your support for the military community. Thank you, our military families have noticed. Let's keep our families visiting our site and learning more about the companies around them that support them. Share MilitaryAvenue.com with businesses in your area. Print some of your own Military Discount coupons from MilitaryAvenue.com to put next to your register. Ask your customers if they have heard of MilitaryAvenue.com. We are gaining momentum and we are thrilled. So it's more important then ever to keep your MilitaryAvenue.com Ad updated. Your ad is on MilitaryAvenue.com as well as published in Military Alerts. Potential customers are going to see what you have to offer; how you describe your business; and how much time you have taken to extend a virtual 'hand-shake' to say 'We want to meet you'. Make sure you are giving them a great first impression! Flexibility is the name of the game; add in a dash of passion and a sprinkle of 'go-get-em' and you have the recipe for a woman with a heart for her business! 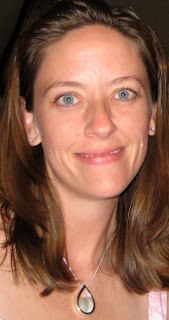 We are happy to introduce Colleen, a MilitaryAvenue Partner and more importantly and Army Spouse. Read on to learn about her fabulous fashion-line and ways that she wants to support you, the military family. Quick description of your business: Her Hero is an online boutique where you will find one-of-a-kind creations for today's military moms, spouses, daughters, sisters, and girlfriends. An exclusive shop featuring contemporary sweetheart jewelry designs, chic clothing, and unique gifts; all centered on military life. Hero Hero's mission is simple...to give military spouses, moms, and sweethearts a fashionable way to showcase their pride. What do you most enjoy about the military lifestyle and why? Moving around with my family and getting closer to my family with each move. What lesson as a military-spouse have you gained that has helped you in the business-world? It is what you make of it. Living in the middle of no-where KS can be the worst or best duty station…it is what you make of it. My business will thrive as long as I continue to cultivate it and treat it like a real business, not a hobby or past-time. It is what you make of it. What do you most enjoy about your line of work now? Giving a way for fellow military spouses a way to showcase their pride or remember a fallen hero. How does your company support the military family? 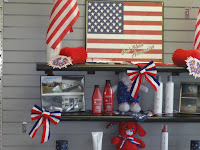 My products provide military family members a fashionable way to their pride. If you could send a message of encouragement to all of our military spouses what would you tell them? Believe in your dream and don’t ever feel sorry for yourself b/c you are a military spouse. Military spouses are the strongest most dedicated women I know and I am honored to call myself one. Any last thoughts to share? Her Hero is continuing to grow and expand its product line. Please email me with any ideas, wants, or needs. Thank you for your support. Ahhh... sleep... as the mother of an eight month-old I'm /just starting/ to remember what it is. There are many things that can affect a child's sleep pattern from infant to school age children. Today's Featured Spouse knows all about sleep and wants to help you! Jen is an Air National Guard Spouse and we are so glad to call her a MilitaryAvenue Partner! Quick description of your business: I provide customized consultations to parents of children who have difficulty falling or staying asleep. Consultations are customized to each individual family's needs and tailored to the parent’s parenting style. A step-by-step plan is developed of how to implement appropriate routines and structure that will ensure that the child will get the right amount of sleep. Recommendations are provided to assist the child in developing the ability to fall asleep with a sense of security and comfort. What is the best way to reach you? : The best way to reach me is through email at Jen@helpingyourchildsleep.com. Parents and families have busy lifestyles and I've found that email is generally the best way to provide consultation regarding sleep problems. I check and respond to emails throughout the day. What Branch of Service did your spouse serve in and when: My husband currently serves as a F-15 pilot at Barnes Air National Guard Base in Westfield, MA. He has been in the military for 10 years. What do you most enjoy about the military lifestyle and why? I enjoy meeting military families from across the country. I have also had amazing opportunities to travel with my husband on TDY deployments and I am grateful to have had that special time to share with my husband. What lesson as a military-spouse have you gained that has helped you in the business-world? A successful military spouse needs to be independent and self-sufficient. Your spouse is not guaranteed to be there all the time and so one must always be prepared for that reality. There are no sick days when your spouse is deployed. As a military spouse and social worker, I understand the never-ending needs of other military families. My main goal is to help military parents help their children become as well-rested as possible. What do you most enjoy about your line of work now? Helping parents find solutions to their children’s sleep problems is incredibly rewarding. Many parents contact me when they are extremely sleep-deprived and at their wit’s end, having tried everything to help their children get the they know their children need. After gathering more information, I provide the parent with a specific plan and include step-by-step instructions to help their children become well-rested, happy, and healthy kids. The results are usually clear within days. I can immediately sense the absolute relief the parent feels the first night everyone gets a solid stretch of sleep. It’s an unbelievably gratifying process to be a part of. How does your company support the military family? It’s hard enough for two parents to get dinner on the table, get the kids into bath, read stories, and try to have lights out at a reasonable hour. Many times, military spouses have to do all of those things by themselves, and especially during their spouse’s long deployments, exhausted military spouses can get overwhelmed by all of these tasks quickly. I provide support to these spouses to help them prioritize tasks and get a solid routine in place so that the children know what to expect each night and things don’t get out of control. I’m also aware of the impact of these tight economic times on military families and so I’m proud to offer a military discount on all of my consultation services. If you could send a message of encouragement to all of our military spouses what would you tell them? Don’t be afraid to ask for help! There are many people out there who know who would gladly offer assistance if only they knew what kind of help you could use. Ask the neighbor next door to help you take out the trash or fix that broken fence post. You might be surprised about how generous people can be. Any last thoughts to share? Sleep is as important to the body as food. Sleep is fuel for the brain and body. If we don’t get enough, our body, brain, and emotions pay the price. If you, as an adult, are exhausted after waking up all night long with your children, think of how tired your children must feel! Don’t spend another sleepless night thinking things will magically improve on their own. Learn the tools now to help your child sleep so that your whole family can be well-rested! 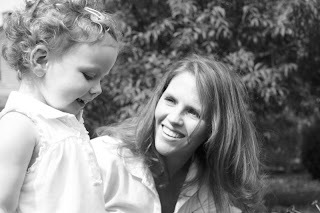 Today's spotlight is Patty Jones, a Navy Spouse and former Navy herself! She is a new MilitaryAvenue Partner and we are thrilled to have her. We value all of our MilitaryAvenue Partners because THEY value the Military Family. Do you know a business that does the same? Let them know about MilitaryAvenue. They too can become a MilitaryAvenue Partner! Quick description of your business: Unique and handmade gifts for baby's and new moms, plus so much more! What do you most enjoy about the military lifestyle and why? I love the opportunity to meet so many new and amazing people. Moving around so much we are exposed to so many wonderful people that I never would have had the chance to know if I had stayed buried under the snow in Upstate NY my whole life. My husband and I joke that there isn't room in the pack out for many knick knacks, so we collect friends instead! What lesson as a military-spouse have you gained that has helped you in the business-world? Initiative and drive. As a military spouse I need to be the one to get things done, I need to take risks and try new things. We spouses have to be able to assimilate quickly into new environments and that sometimes means jumping in with no net. In my business, it's just me. I have to juggle running my household, taking car of my amazing little three year old, being a good wife and finding time to work and grow my business. If I don't get something done...it won't get done. I am in control and I find myself taking risks and applying my initiative and drive every day because I believe in my business and I am passionate about making it work. What do you most enjoy about your line of work now? I love knowing what I make is more than just functional. 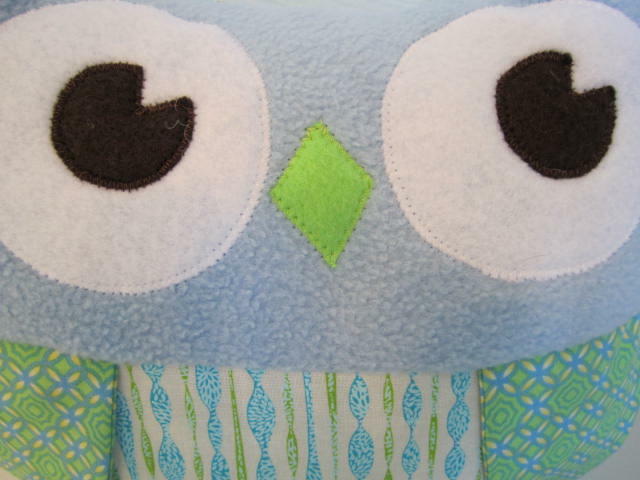 I like to picture happy babies wrapped in one of my blankets or a sweet child hugging one of my stuffed owls. I strive to keep a very personal connection with my customers and as a result it is incredibly rewarding every time I them happy. My former job as an accountant didn't offer me that same emotional connection and it is a dimension of my new business that I find the most fulfilling. How does your company support the military family? My company supports the military family by offering quality products at extremely low prices compared to competitors. As a military spouse myself I am always looking for ways to stretch my money but not sacrifice value and quality and so every time I design something new I keep that in mind. 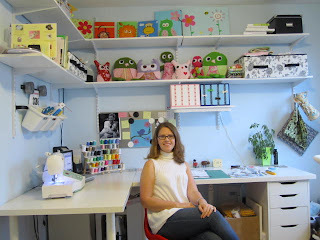 I also submit my products on a regular basis to other military spouses as blog giveaways and fundraisers. I feel that the blogging community has become just as, if not more important of a connection between military spouses as our local groups, to help provide support for each other especially during deployments and I love to help out a fellow spouse! Plus we are currently offering a discount to all service members and their spouses through this wonderful site and it's is easy to access us worldwide through Facebook and the Internet. If you could send a message of encouragement to all of our military spouses what would you tell them? We live a life that is hard for anyone who has not done it themselves to understand. So much of our everyday is determined by factors out of our hands that it can lead to feeling frustrated or insignificant and lonely. I have found that the best way to avoid that is to take control of the things I can. To find something that I was passionate about and then just do it. Dive in to something that makes you happy and that joy and fulfillment will bubble over into every other aspect of your life. Any last thoughts to share? I have always dreamed of being my own boss but never thought it was really a possibility. Then one night last winter I showed a stuffed animal I had made for my daughter to some friends and they loved it. I tossed and turned all night wondering if I should take the risk. The next day I had an online shop and made my first sale within the week. With hard work and the support of my family and friends I have turned that stuffed animal into a successful small business. Every day isn't easy to balance everything on my plate but I go to bed happy to know that I am living my dream. I am so happy I took a risk on myself. I love to share my story and hope that it helps motivate other moms and women to follow their dreams because they really can come true.